Will you be the new King of Games? If you thought simply mastering the card game was the end all, you're wrong. Choose your favorite Millennium Item token because it's time... to play Yu-Gi-Oh! Monopoly! 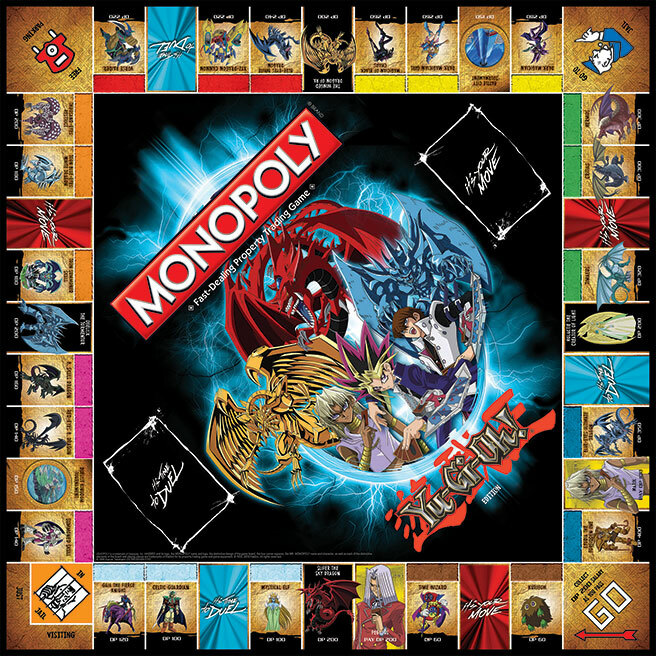 Travel around the board collecting and trading the most memorable duel monsters while defeating your opponents to be the master duelist. Do you have enough skill to control Exodia the Forbidden One? © 1935, 2016 Hasbro. All Rights Reserved.